OGRLAW celebrates its first decade of supporting clients in the development of their businesses and the prevention and resolution of their disputes. 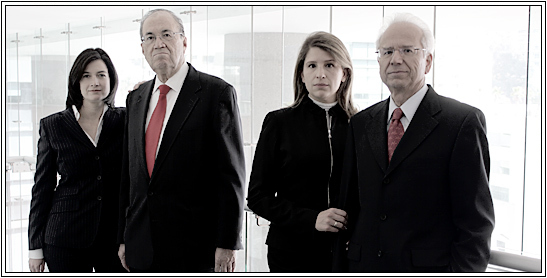 The experience of our partners adds more than 40 years in providing legal services to our clients. Our arbitration practice has been consolidated as one of the most notable in Mexico, achieving year after year the recognition of publications such as Chambers & Partners, Who’s Who, LACCA and Best Lawyers. In addition, the corporate and data protection practice areas become more prestigious every day. OGRLAW’s partners remain at the forefront of developments in communication and information technologies to support their clients in the new challenges that these represent. The organization of the firm allows for partners to be personally in contact with the clients, becoming aware of everything related to their businesses, thereby continuously supervising the lawyers involved, and actively participating in the cases and transactions. Clients constantly seek to reduce the costs of the legal advice they receive, especially in preventive matters. The organization of the firm allows us to maintain the fixed costs low and, therefore, offer our clients more competitive rates and different payment schemes.